Tom Scholes-Fogg is the Founder and Chair of the National Emergency Services Memorial, a registered charity which is raising at least £3 million to build Britain’s first national cenotaph dedicated to the more than 7,000 emergency services personnel killed on duty, and to give thanks to all who have served, including the 2 million people who work and volunteer in the emergency services today. 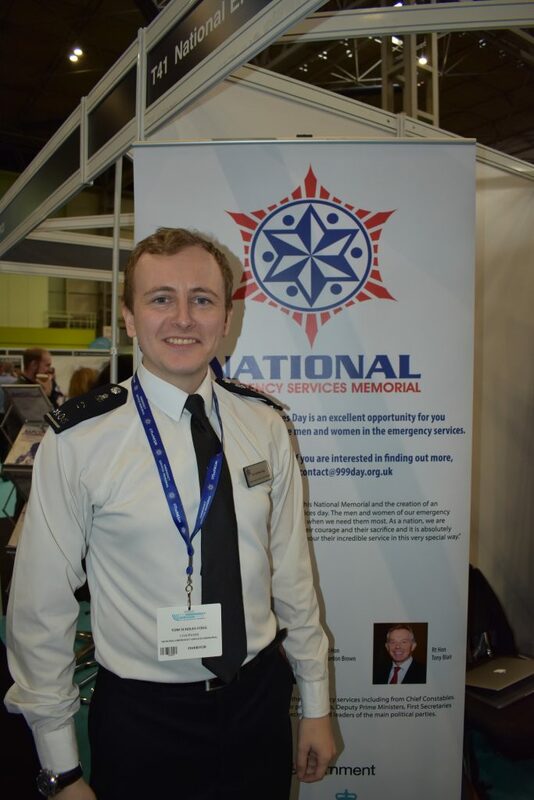 The NESM will be the national symbol of gratitude, sacrifice and remembrance for ALL British emergency services (Police, Fire, Ambulance/NHS, Search and Rescue, St John, HM Coastguard and the support services such as British Red Cross and Salvation Army). To donate please visit www.NESM.org.uk/donate. Tom is also Founder and Chairman of the ‘Emergency Services Day‘ and the Emergency Services Festival of Thanksgiving. The Charity is supported by the Prime Minister, Rt Hon Theresa May MP, Her Majesty’s Government, The First Ministers and Governments of Scotland and Wales, the Home Secretary, the Secretary of State for Health and Social Care and all living former UK Prime Ministers and Deputy Prime Ministers (David Cameron, Gordon Brown, Tony Blair, Sir John Major, Sir Nick Clegg, Lord (John) Prescott and Lord (Michael) Heseltine). In early 2019, Tom founded BlueLightJobs.com – a free to use jobs board where all emergency services jobs will be advertised. The site is aimed at saving the emergency services money and promoting the many jobs in public service. Tom serves in the Special Constabulary in a major English police force. Tom has previously worked for four Members of Parliament, including managing the Parliamentary offices of two Shadow Ministers of State (Policing and DEFRA). Tom has worked as a researcher to the Lord Stevens Independent Commission on Policing, to which he also gave evidence on police use of social media to interact with the public and fight crime. Tom read Policing, Investigation and Criminology at University, and holds a MSc in Counter Terrorism. Note: Any views presented on this website, the internet or on social media channels past or present are his personal views only and represent no organisation or company. A Twitter Retweet or a like is not an endorsement.